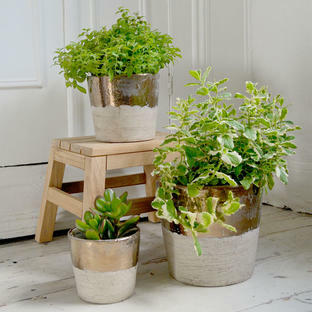 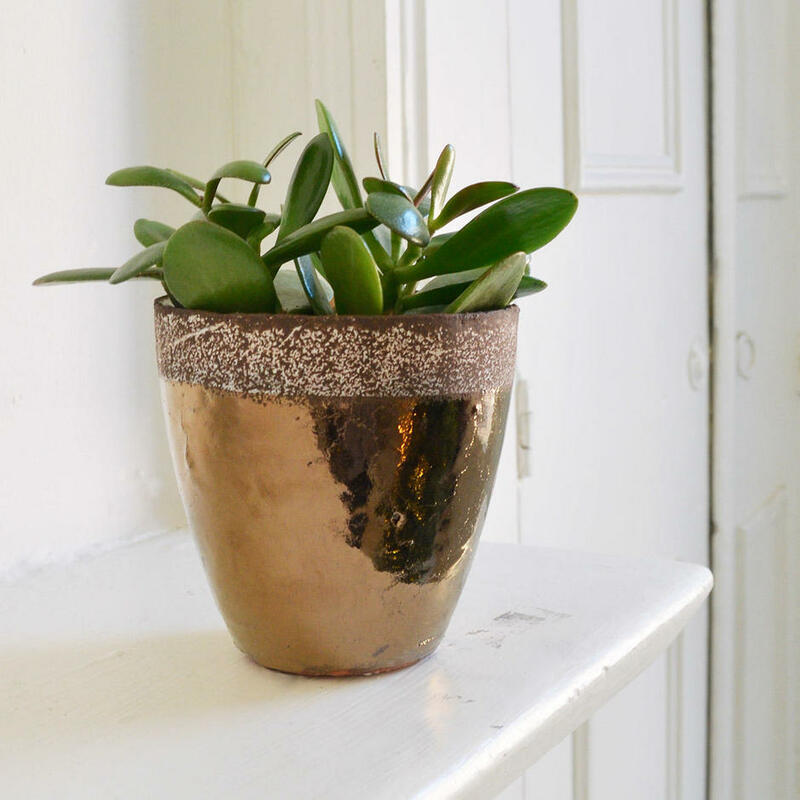 If indoor houseplants had a Sunday best, this beautiful pot would be it! 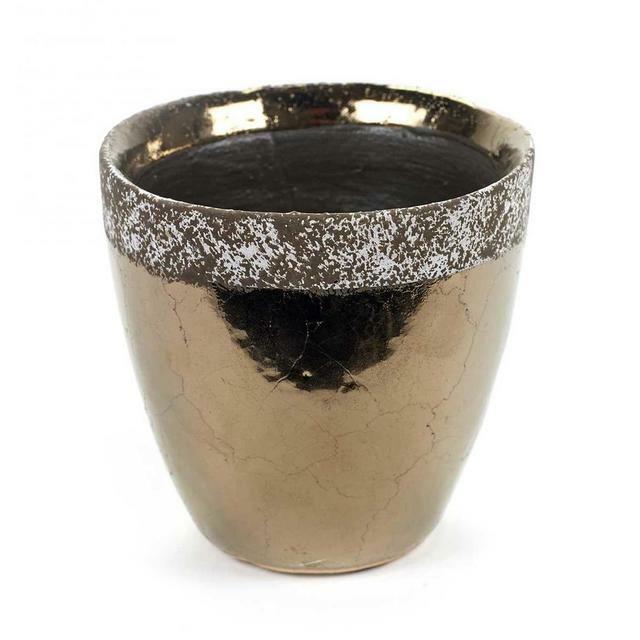 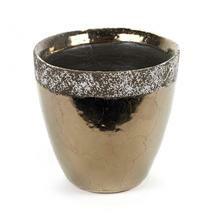 This beautifully-crafted, bronze coloured pot is surprising in design. Slightly rustic in appearance with its contrast rim, they are sure to enhance any windowsill or mantlepiece, adding atmosphere and colour. 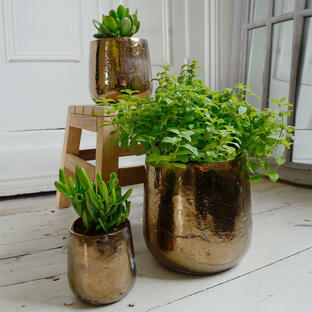 Hand finished, so each pot is slightly different. 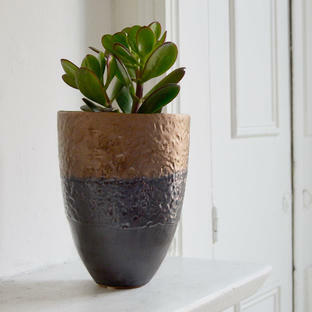 Made from terracotta, with a glaze in hues of bronze.